" Dillon Brown started playing guitar at 8 years old, with private lessons from guitar virtuoso Lee Zimmer "
Dillon Brown started playing guitar at 8 years old, with private lessons from guitar virtuoso Lee Zimmer that centered on rock, blues, and classical training to make him an all-around versatile guitarist. At 18, the rock and blues heavy riffs of his original music show his true love and focus. 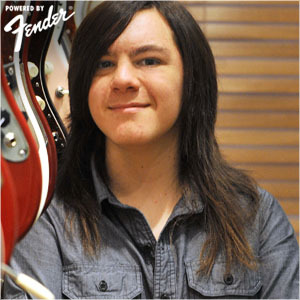 Through the Fender Center Kids Rock Free non-profit music school, he has been fortunate to play with and open for major acts like The Steve Miller Band and Paul Rodgers. He spent October 2009 – September 2011 as a guest guitarist touring with The Steve Miller Band around the country in over 30 cities playing Steve’s greatest hits onstage with the band at some of the country’s most iconic venues, including The Greek, Red Rocks Amphitheatre, The Ryman, and The Beacon Theater. The goal was to help raise awareness of the benefits of music education, and the Kids Rock Free program. He really appreciated the opportunity to represent, as well as the life and music business lessons he learned from Steve and the other band members. It solidified his goals to be a touring musician. 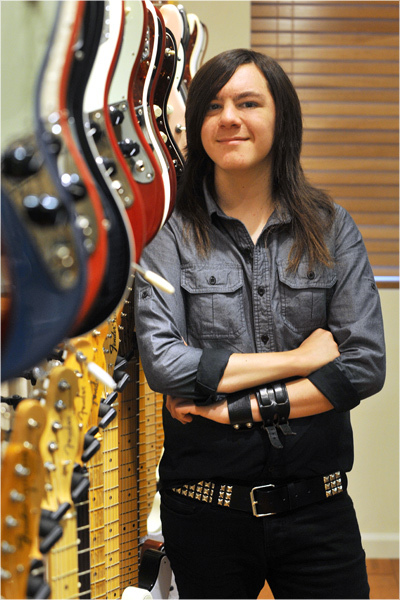 A lifelong Fender player, and influenced by the guitar talents of artists like Slash, Joe Bonamassa, Eddie Van Halen, Jack White, Phil X, Joe Perry, Jimmy Page, Steve Miller, and Eric Clapton to name just a few, Dillon works hard to create his own rock and roll sound along with the support of Seymour Duncan Pickups in all of his guitars. Dillon’s current focus is on building his band and writing originals, with the goal of creating a new take on rock and roll. He is excited to make his mark, and once again bring rock music to the forefront.